James C. Flores is Chairman, President & Chief Executive Officer of Sable Permian Resources, LLC. Sable engages in the acquisition, consolidation and optimization of oil and gas upstream opportunities. Since 1982, Mr. Flores has had an extensive career in the oil and gas industry in the roles of Chairman, Chief Executive Officer, and President of one private and four public oil & gas exploration and production companies listed on the New York Stock Exchange. Initially, in 1994, he led Flores & Rucks, Inc. (NYSE:FNR) and then Ocean Energy Inc. (NYSE:OEI) in 1997. In 2001, he became the Chairman and CEO of Plains Resources Inc. (NYSE:PLX) where under his leadership the exploration and production assets of PLX were spun off into Plains Exploration & Production Company (NYSE:PXP). Mr. Flores served in the capacity of PXP’s Chairman, CEO, and President where, after 10 plus years of substantial growth, PXP was acquired by Freeport-McMoRan Copper & Gold Inc. (NYSE:FCX) in May of 2013 where Mr. Flores served as Vice Chairman of FCX until November 2015. Mr. Flores recently served as Chairman and CEO of Freeport-McMoRan Oil & Gas, a wholly owned subsidiary of Freeport-McMoRan Inc., the world’s largest publicly traded copper producer. Mr. Flores graduated from Louisiana State University with Bachelor of Science degrees in corporate finance and petroleum land management. 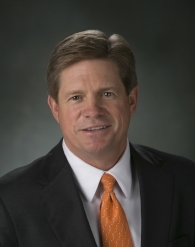 He is a member of the National Petroleum Council and a board member of the American Natural Gas Alliance, the American Exploration and Production Council and serves as Trustee for the Baylor College of Medicine. He was inducted into the All-American Wildcatters in 1999 and is a member of the World Presidents’ Organization. He was recognized as the Executive of the Year in 2004 in Oil and Gas Investor magazine. In addition, Mr. Flores and his wife, Cherie, have endowed the LSU Flores MBA program. Jeffery D. Hildebrand is the Founder and Executive Chairman of Hilcorp Energy Company, an independent oil and gas exploration and production company headquartered in Houston, Texas, with operations throughout the United States. Hilcorp has been recognized multiple times by both regional and national publications as one of the top workplaces in America. Mr. Hildebrand earned a Master of Science in petroleum engineering in 1985 and a Bachelor of Science in geology in 1981, both from The University of Texas at Austin, where he was also a member of Pi Epsilon Tau, Petroleum Engineering’s Honor Society. Phil Mickelson is a professional golfer and has won 42 events on the PGA Tour, including five major championships: Masters (2004, 2006, 2010), a PGA Championship (2005) and an Open Championship (2013). Mr. Mickelson is one of 16 golfers in the history of the sport to win at least three of the four majors. In addition, he has spent over 700 weeks in the top-10 of the Official World Golf Ranking, has reached a career-high world ranking of 2nd several times and is a life member of the PGA Tour. He was inducted into the World Golf Hall of Fame in May 2012. Mr. Mickelson, along with his wife, founded the Phil and Amy Mickelson Foundation in 2004 that supports a variety of youth and family initiatives including the Special Operations Warrior Foundation, Home for Our Troops, Birdies for the Brave, Start Smart and Blue for Books. Mr. Mickelson is a brand ambassador for Intrepid Financial Partners, where his dedication, integrity and respect for the game embody our Company values. Mr. Mickelson graduated from Arizona State University, where he won three NCAA individual championships and three Haskins Awards. Donald R. Sinclair is an investor in the oil and gas industry and is currently Chairman and President of WTX Pumping Services LLC. He retired from Anadarko Petroleum Corporation in February 2018 where he was serving as a Senior Advisor. From 2009 to 2017, he served as Chief Executive Officer of Western Gas Partners, LP, from 2012 to 2017 he also served as Chief Executive Officer of Western Gas Equity Partners, LP. While serving as Chief Executive of the Western Gas entities, he also served as a Senior Vice President of Anadarko from 2013 to 2017. Prior to joining Anadarko and Western Gas, Mr. Sinclair was a founding partner of Ceritas Energy, LLC, a midstream energy company headquartered in Houston with operations in Texas, Wyoming and Utah, and served as its President from 2003 to 2009. Mr. Sinclair has worked in the oil and gas industry for over 35 years, with a focus on marketing and trading and the midstream sector. He is a Director of Ascent Resources, LLC, a private upstream company located in Oklahoma City, Oklahoma. He is also a Director of Alta Mesa Resources (NASDAQ: AMR) an upstream company focused on the STACK play in the Anadarko Basin of Oklahoma. 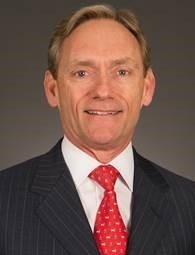 He is the former Chairman of the Advisory Council for the Rawls College of Business at Texas Tech University, a member of the Executive Committee and the Vice Chairman of the Texas Tech Foundation, Inc., and a member of the Bob L. Herd Academy of Petroleum Engineering at Texas Tech. He serves as a Trustee of St. Luke’s United Methodist Church, and is on The University of Texas MD Anderson Cancer Center Board of Visitors. He earned a Bachelor of Business Administration in Management from Texas Tech University.